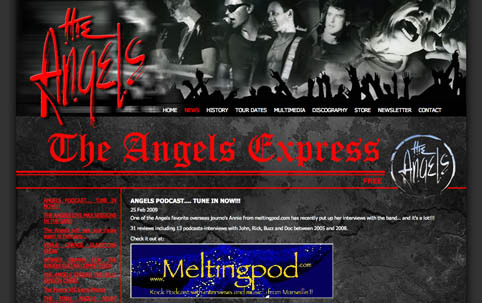 « Molly Malone Live show by Irishmen in Marseille for Meltingpod blog 4th anniversary !! This entry was posted on Mercredi, mars 4th, 2009 at 09:47:12	and is filed under Australia, The Angels (aka Angels city), bands promotion, special events or news. You can follow any responses to this entry through the RSS 2.0 feed. You can leave a response, or trackback from your own site.